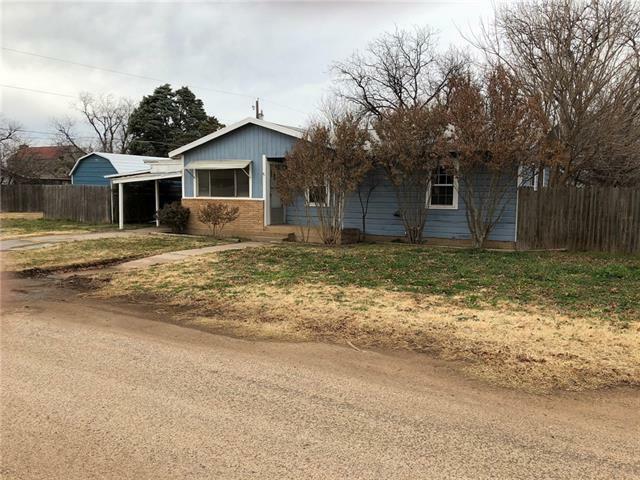 All Munday homes currently listed for sale in Munday as of 04/26/2019 are shown below. You can change the search criteria at any time by pressing the 'Change Search' button below. If you have any questions or you would like more information about any Munday homes for sale or other Munday real estate, please contact us and one of our knowledgeable Munday REALTORS® would be pleased to assist you. "Located on a quiet street this lovely three bedroom, two bathroom property has served as a home for Munday families for years. The cozy residence allows for a formal living room with detailed built in's, large kitchen, den and dining room combination. Hardwood floors are spectacular and closet space is fantastic in each bedroom. The back yard is large and complete with storage building, water well and an area perfect for a garden. This portion of South 11th would be perfect for afternoon strolls"
"Cozy, small 3 bedroom, 1 bath home on large lot. Recent updates include new vinyl plank flooring, trim and paint in living room and hall. All new Low E windows throughout the house and new tub surround. New sewer line from house to public tap and French doors to wooden deck outside of dining room. New roof was recently installed along with a Hawk 12x16 metal storage building with gable roof. Beautiful, mature Crepe Myrtle trees in the front and pecan trees in the back. Quiet neighborhood on the "